These are so practical from Danny Kuo! Another selection that is cool and interesting on Hometalk . I am not THAT cool and I need more functionality. 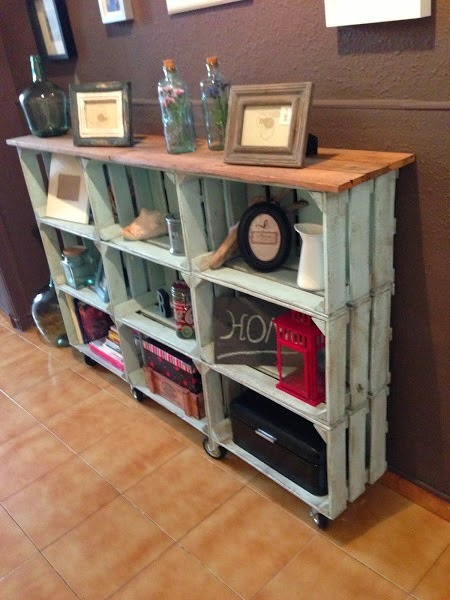 Facilisimo has these DIY with crates, a pop of colour and wheels! 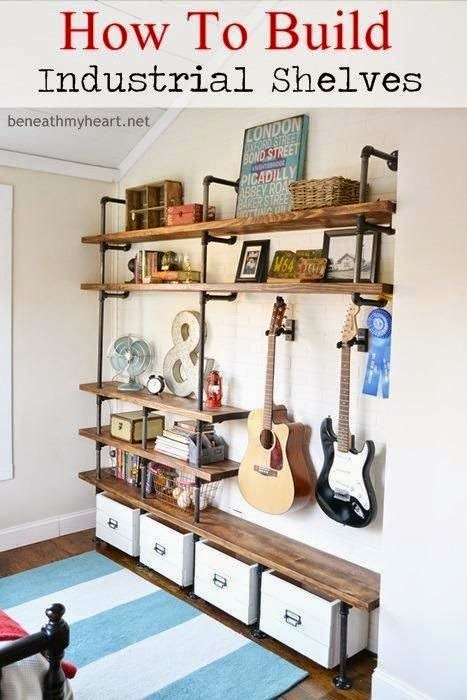 And these DIY Industrial Shelves are to LIVE for with a how to on Beneath My Heart. These are my BABIES!!!!!! The $100 fee is AWESOME but I would need a been a truck, driver and perhaps some some muscle ;) But if I have my way there will be MINE!!!!!!!! I love Craigslist! Not sure what I will be doing tomorrow but I think it will involve another trip to Ikea or possibly to DC! Wish me luck! You know, whatever you find and are able to lug into your space will make you happy. No matter what it looks like, it will be covered with beautiful fabric anyway. Sure, we all want beautiful furniture, but we NEED storage. Go with whatever suits your needs. Happy New Year! Ikea is the best! I wanted a dresser for my fabric ~ it's in the sunroom, all the fabric needed to be protected. I ended up with two, in red, at a very reasonable price! 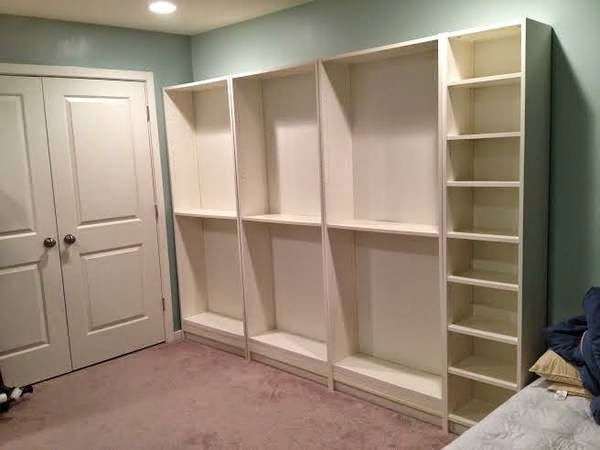 Those are some great shelves!! I wish we had an IKEA close by. Can't wait to see how you arrange your room! That's quite a selection! My favorites are the ones from Craigslist and the practical ones. How fun would it be to climb up the shelves in your quilting studio?? I might have to look into these :) Looking forward to more pics! Wow, hard choice. I find I always like some stuff about one shelving and dislike other stuff about it. I have not found a perfect fit yet. Here's hoping that you do. Luck, luck, luck! I like Ikea but sadly the closest one to me is 2 1/2 hours away. When will they decide that only having 1 in NY way up in Buffalo isn't good? Wow -- thanks for sharing all the great ideas Kim. Loving the variety. Can't wait to see what you decide.